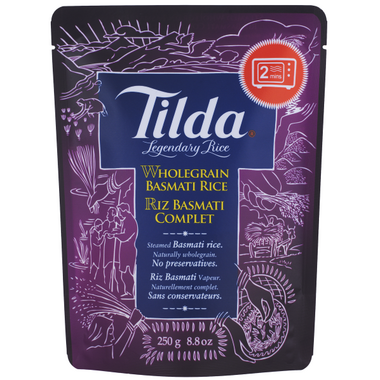 The delicious fluffy grains of Tilda Steamed Basmati rice are pre-steamed and can be heated in the microwave in just 2 minutes, or stir fried in a pan with a little oil in 4 minutes. They are a perfect lunchtime alternative to a sandwich, side to an evening meal or a great ingredient in a larger dish. 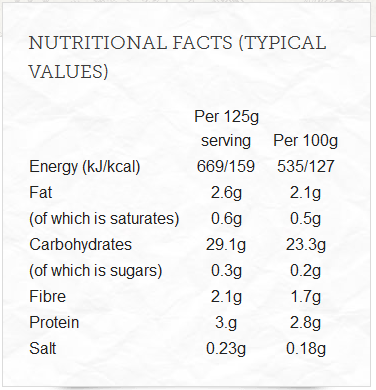 They are not only quick and delicious, but they are gluten free, suitable for vegetarians and free from any artificial colours, flavours or preservatives.